Lately I have found myself purchasing a lot (this is an understatement) of beauty products and most of them seem to possess glitter of some sort. Maybe it's this time of year and the anticipation and excitement that comes with christmas? 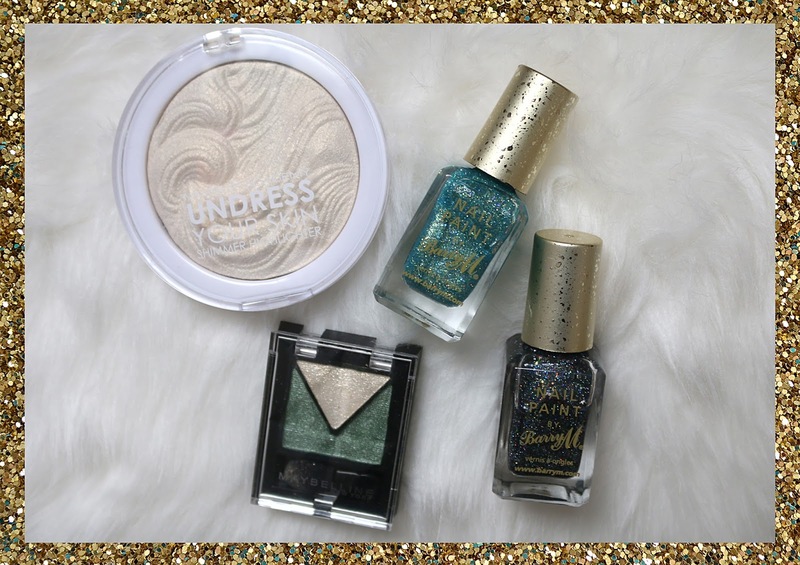 I thought I would share my top sparkly make-up picks with you guys! This product was hyped a lot when it came out, and so when my friend informed me it was a dupe for the infamous NARS highlighter, I knew I had to try it. At the price of only £3.00 it was definitely worth the buy. The product is super pigmented and creates a beautiful glow on the high points of your cheeks, regardless of whether you have cheek bones or just a marshmallow face like myself. There are a few different shades to choose and I would definitely love to also try the rose shade in the collection. If you want to find an affordable, long lasting highlighter then this is definitely for you. I tried to buy these two gorgeous nail colours from ASOS but unfortunately they got smashed on the way to me.. what a sticky, glittery situation for the poor postman! My dismay was short lived when I saw these in Superdrug on the 3 for 2 offer I quickly nabbed them. These colours are just so christmas season inspired, well for me anyway- I don't do greens and reds. Rock Star adds a bit of drama to a typical black nail, whilst Catwalk Queen is a gorgeous turquoise with a silver shimmer throughout - I feel like a mermaid when I wear this! Whenever I come across a Pound store, I always make sure that I go in to check if they have any discounted make-up for me to grab. This Maybelline duo eyeshadow caught my eye as I know from previous experience that their eyeshadow's are super pigmented and have great longevity and I wasn't disappointed. I love using the white colour in the corner of my eye to create a little shimmery wide eyed effect. The glitter in the pigment does create a bit of fall out so definitely save your concealer for afterwards! Have you guys found any new beauty products that you're loving lately? Outfit posts have been severely lacking on this blog due to the fact that indoor settings are boring as, and I may have misplaced the part of my tripod that attaches the camera to the stand.. whoops. 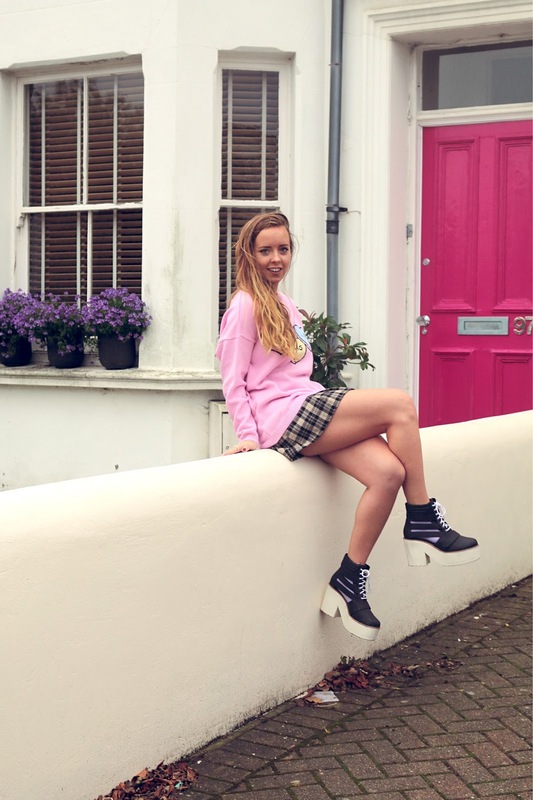 However I braved the poor weather to capture my new favourite jumper and shoes from my go to online shopping destination which is Asos, of course. Asos can do no wrong. 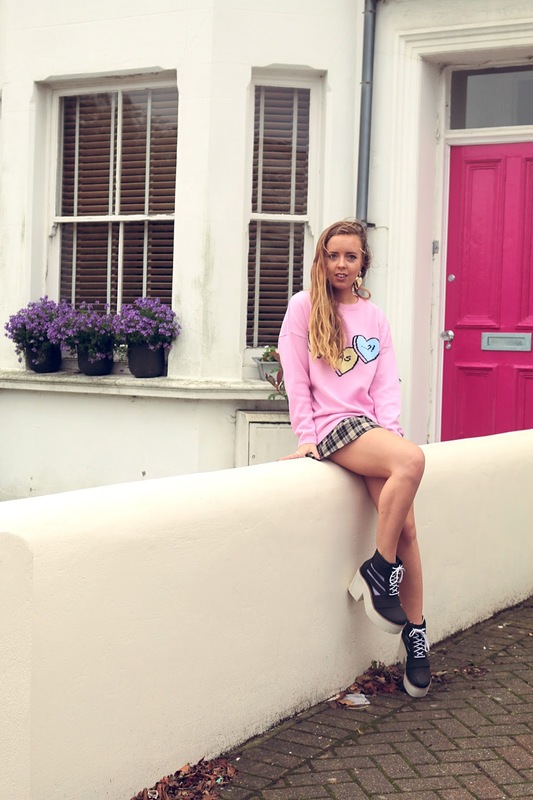 My friend Sara captured these shots for me, and she has just started her own blog which you should all definitely check out. Think sharp, sophisticated style - basically the complete opposite of me. Also, If you didn't already know I recently created a YouTube channel, and just posted the TMI tag, so if you want to get to know me a little better then watch below and head on over to subscribe! 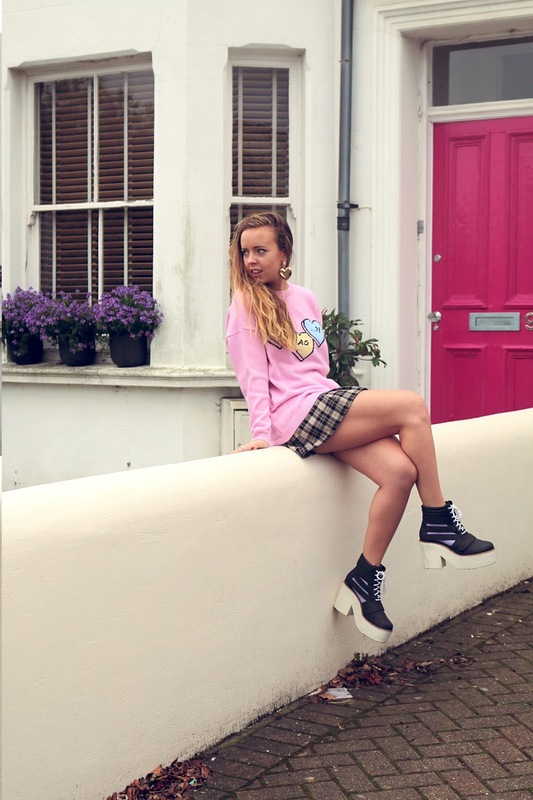 Lately I've been feeling slightly bored with the clothing available and after being inspired by The Great British Sewing Bee, I really wanted to create some of my own clothes. My nan had previously taught me how to use a sewing machine but It goes in one ear and out the other with me, and had fast been forgotten. When she came to stay with me recently, I picked her brain and she helped me to create a simple straight denim skirt out of some fabric she had going spare. I was really happy with my first creation but wanted to spruce it up further so I raided Etsy to find the perfect iron on patches to give the skirt the on trend folk fairy tale feel. I got mine from the seller Kraft Folks but there are some really fun ones on there. To customise my skirt, I simply positioned the patches, and then heated up my iron. I overlaid a sheet on top of the skirt and pressed the iron on top for a while to make sure the flowers were secure and then left the skirt to cool for an hour. Here is the finished product, combined with some of my other amazing Etsy finds. I bought this top from a seller a couple of years ago, and unfortunately they do not stock it anymore, but it has lasted me so well and the print has not faded one bit which is great for something handmade. My favourite purchase has to be these fluffy turquoise earrings though! How mega are they!? These were made by the amazing Pom queen - Frilly Pops. Have you guys found any unique things on Etsy? I was looking for a new natural shade to compliment the autumn months, so when my friend recommended this Barry M polish I decided to give it a try. The shade is called caramel and is the perfect natural looking matte polish that will leave your nails looking effortlessly sophisticated. 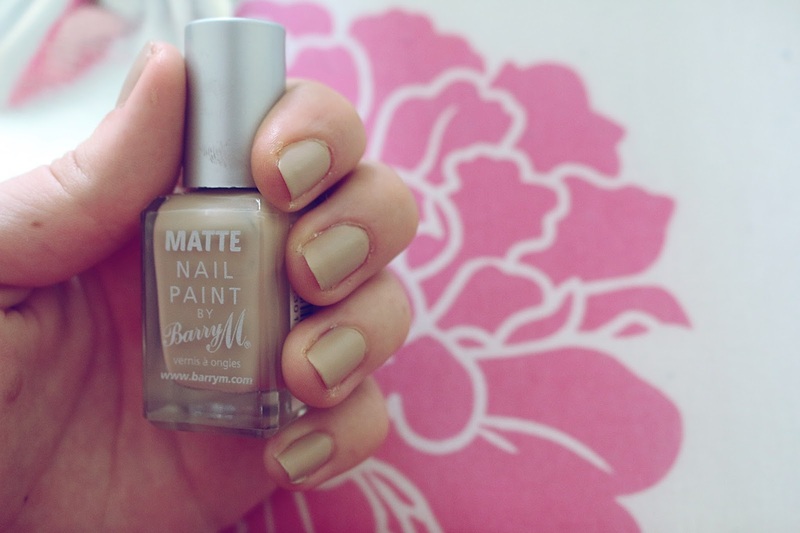 This polish is ideal for work situations when you're not really meant to be wearing anything - tut tut! I also wanted to feature this gorgeous sterling silver moonstone ring that I picked up on a trip to the Laines in Brighton. 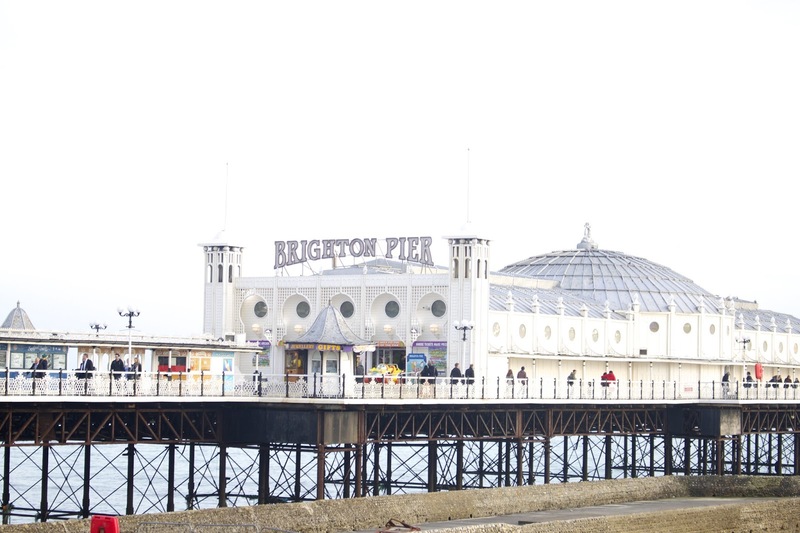 If any of you guys have a chance to go there definitely take a walk down and check out Brighton Silver, it is a little jewellery stall with some stunning pieces. Oh and Don't forget Roly's Fudge Pantry for the most delicious homemade fudge ever! 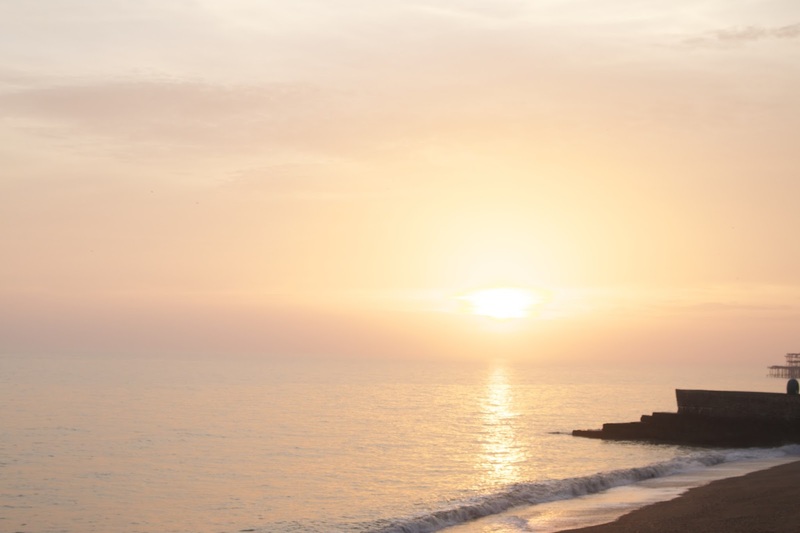 Recently, I returned from a holiday to Tenerife and was hit hard with post-holiday depression. I spent a week wishing I was back tanning all day, dancing all night and spontaneously running into the sea at 5am with my best friends thinking it was a great idea (until we were hit by a tidal wave). In the process of my dreaming I consumed a lot of comfort food to ease the pain, however I was left feeling rather blergh afterwards. 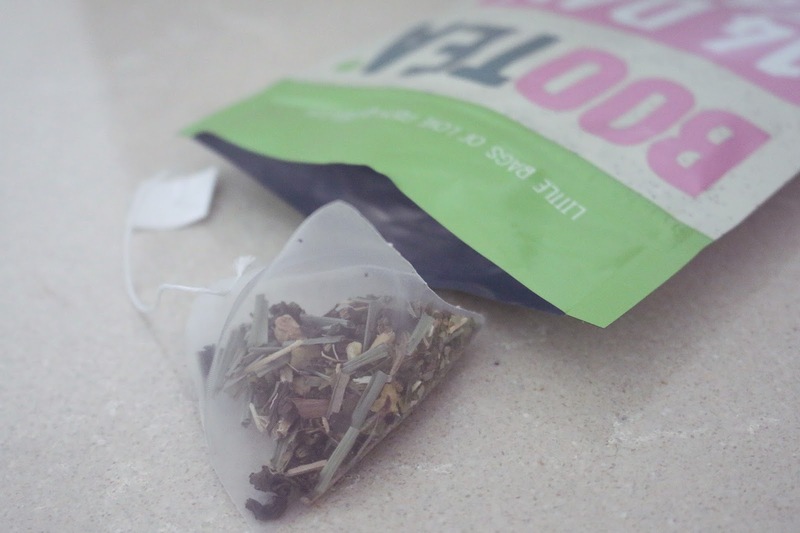 I had wanted to try a Teatox for ages as I'm a bit of a health freak (that falls off the wagon constantly) and decided this was as good enough time as any to give one a try. 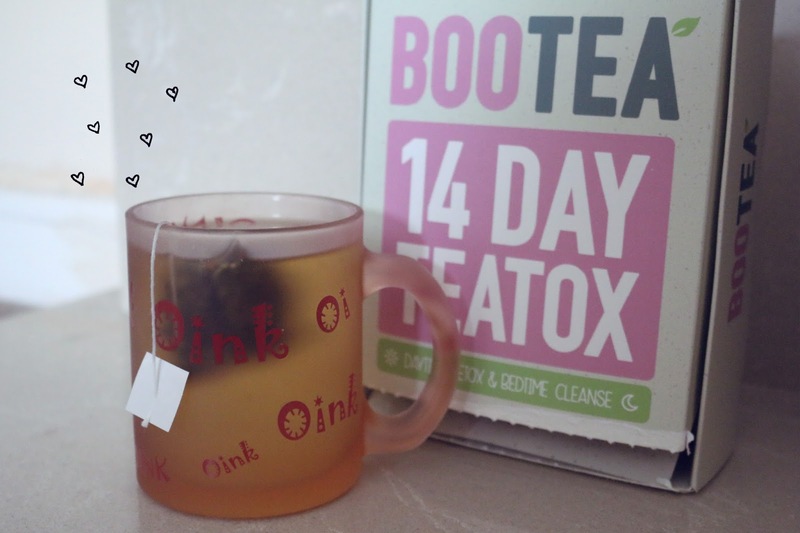 I decided to use the brand Boo Tea as the company is based in the UK, and my mum had previously tried this Tea and had a good result, so I went on the Holland and Barrett website and gave it a little purchase. As a little disclaimer, I didn't take the Tea to try and lose weight specifically but just to help me feel less sluggish and a bit less bulky from all the food I had consumed. I didn't weigh myself however I did notice some changes by the end as I took Before and after photos, and I did look a little less large. To sum up the flavours of the tea, the morning one was fine and quite refreshing but the evening one - I HATED it, every time I had to down it and quickly brush my teeth after. It was kind of a peppermint flavour which I do not like one bit. In regard to the 'myth' of the night time tea's having a laxative effect, I found this false. Although it did leave me feeling a lot more refreshed. All in all, I would recommend this Tea as I felt like it was a great way to kick start getting back into a healthy routine, or if you are just beginning your fitness journey as a teatox is a great way to make sure you stick within your healthy routine. My mentality was that I have paid for this product and so I am going to be good to make sure I get the best results. In future I would re-take this tea whilst exercising more as I didn't have time to exercise/my gym membership has expired and I'm lazy - but I did still see results without one! If you guys have any more questions, feel free to ask me on my twitter @paigeanthony_ and don't forget to take a look at my brand new YouTube channel. Hey everyone, a slightly different post from me today. 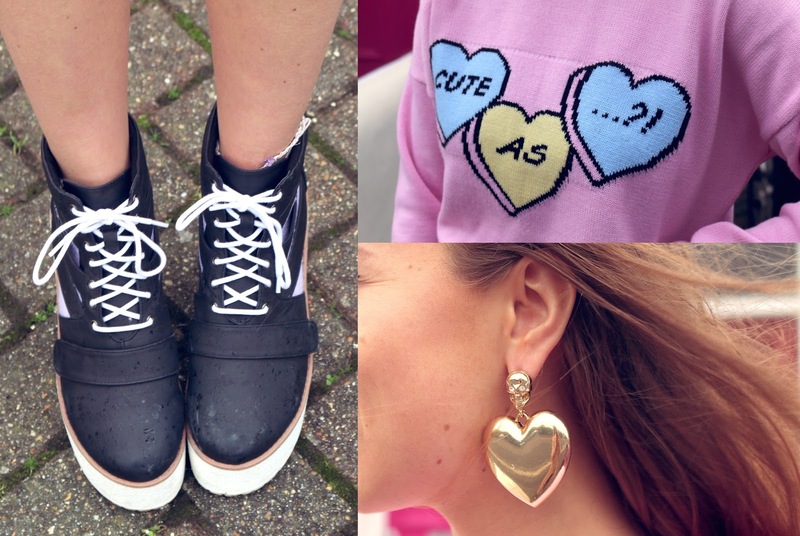 I get bored of just posting Fashion related things, and one of my favourite type of blogs to read are lifestyle, so I thought I'd share the latest outing in my life. I went to Brighton with my friends Katie & Joice, we started off our trip in Peter Andre's cafe - who even knew he had one? And finished in true Essex style at a Harvester. Where I am from, Harvester is the go to place for all occasions. Its fair to say I've been feeling a little down lately being in this secluded town. I miss my home home and have to much spare time on my hands. 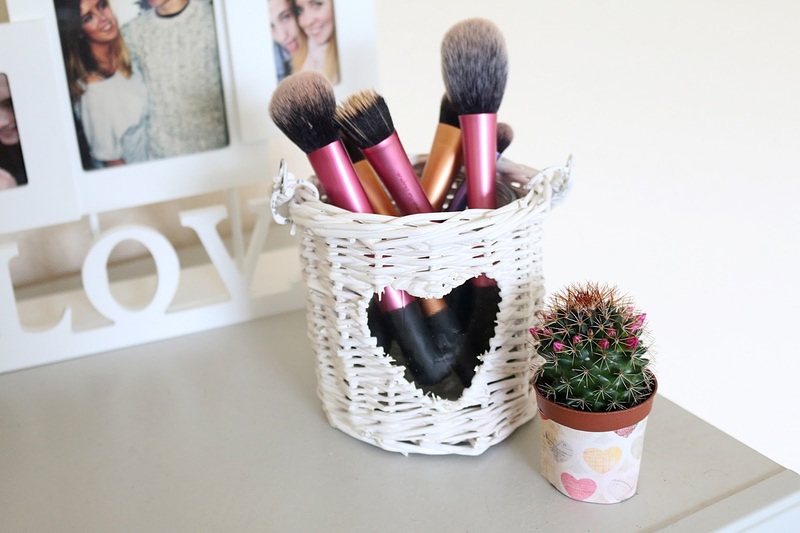 I decided to ride my bike down to Asda as I'd been needed something to hold all my make-up brushes and being the shabby-chic lover that I am picked up this gorgeous (I think it's a candle holder) basket for a bargain price. Its just something cute to try and spruce up my room a little. This cacti also cheers me up and reminds me massively of my best friend Sophie, and my nan who are both cactus obsessed freaks. I tried to make the pot a little more interesting however this completely failed! - Wrapping circular objects is not an easy task, and so I will be looking to find another cute but slightly smaller holder for this little treasure soon. Also when I was in Asda, I walked past this clock and could not leave it! 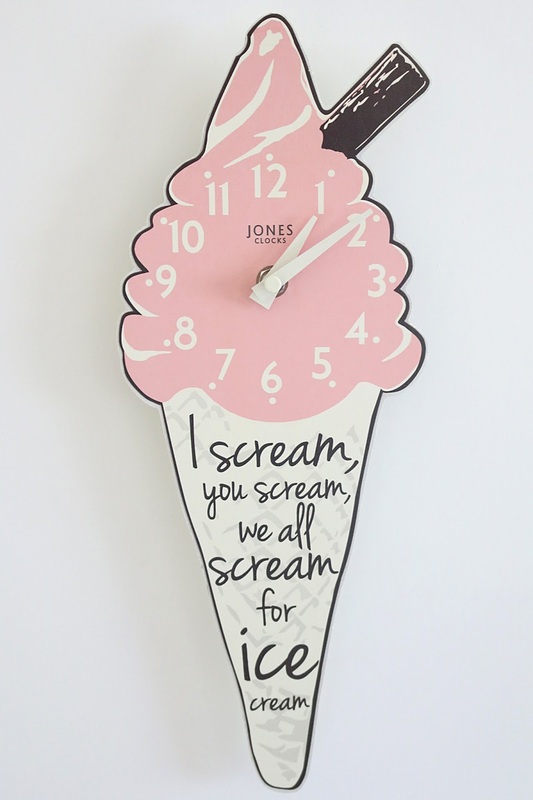 It is me written all over it, I don't have a clock in my room at university so it is handy for now, but I also purchased it as a future investment for mine and Matthew's future kitchen when we finally move in together (only two more years) Yes I know it's a bit extreme but I love to plan in advance and Pinterest has totally inspired me for decor lately, I just want to buy so much! And finally this little guy always makes me feel better on a gloomy day. How cute is he? I need to remove his tags still but I've had it engraved in me to not remove tags from toys incase they become collectables! 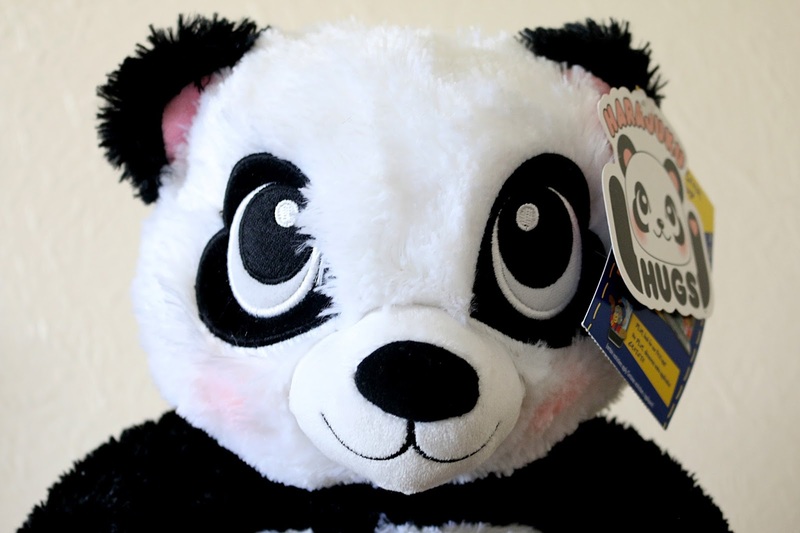 I hardly doubt this build a bear or should I say Panda will become a collectable with Matthew's voice inside his tummy saying Happy Birthday to me. What cheers you guys up on those bad days?